Ever watch a rocket soar across a beach sunrise? How about kayaking among dolphins and manatees? Or have you gone from space ship to cruise ship in a single day? Visit Florida's Space Coast – just east of Orlando and a perfect all-in-one showcase of true Florida treasures. Florida’s Space Coast is home to 72 miles of Orlando’s closest beaches, including Cocoa Beach and Melbourne Beaches. Elite Airways flies in and out of the Orlando Melbourne International Airport. The Orlando Melbourne International Airport (MLB) is located in the heart of east central Florida. MLB is an easy drive to anywhere on Florida’s Space Coast and is the closest airport to Cocoa Beach and Port Canaveral. Elite Airways offers non-stop flights between Orlando Melbourne International Airport and Portland, ME or Long Island/Islip, New York. Click here to check availability or make a reservation. The Orlando Melbourne International Airport is located at 1 Air Terminal Pkwy, Melbourne, FL 32901. Parking is $11 per day. The Elite Airways ticket counter is located in the main terminal. Click here for airport website. Melbourne and the Space Coast boast pristine Atlantic Coast beaches recognized as the world’s largest sea turtle nesting habitat and the East Coast Surfing Capital. Just off the beaches is an incredible diversity of attractions, activities, hidden gems and historic shopping, entertainment and arts districts. The most visited attraction on Florida’s Space Coast is Kennedy Space Center Visitor Complex. 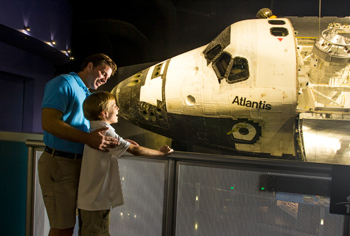 The complex features thrills including Kennedy Space Center Tours, the legendary Rocket Garden, Shuttle Launch Experience, 3D IMAX® space films, Astronaut Encounters, Saturn V museum and the U.S. Astronaut Hall of Fame. Or visit the massive Space Shuttle Atlantis Exhibit. This 90,000-square-foot exhibit building will house more Than 60 Interactive Exhibits Telling the Story of the Space Shuttle Program. Looking for one-of-a-kind shopping adventure? Look no further than world-famous Ron Jon’s Surf Shop or the Dinosaur Shop & Museum in the heart of Cocoa Beach. Or relax in one of the three historic downtown areas for boutique and antique shopping, dining, theater and entertainment. Take a walk along our spacious, quiet beaches. Looking to get lucky? 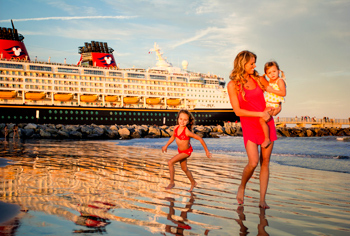 Port Canaveral also features casino cruise ships and deep-sea fishing charters that depart daily. At Port Canaveral Cove, unwind at the great seafood restaurants with live entertainment and incredible views of cruise ships embarking on exotic journeys. Or look in all directions atop Exploration Tower. Florida's Space Coast offers a remarkable variety of outdoor adventures in all directions. Due north in Titusville are the Canaveral National Seashore and the Valiant Air Command Warbird Museum. 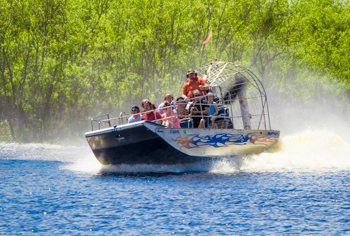 Go west and go wild with an airboat ride or a kayaking tour past giraffes and rhinos at Brevard Zoo – named one of the Top 10 Zoo’s in America by TripAdvisor. Head east to Cocoa Beach, the great American Beach, for live entertainment at the Cocoa Beach Pier or watersports galore. Or head south to waterfront camping, fishing and world-class surfing at the Sebastian Inlet.